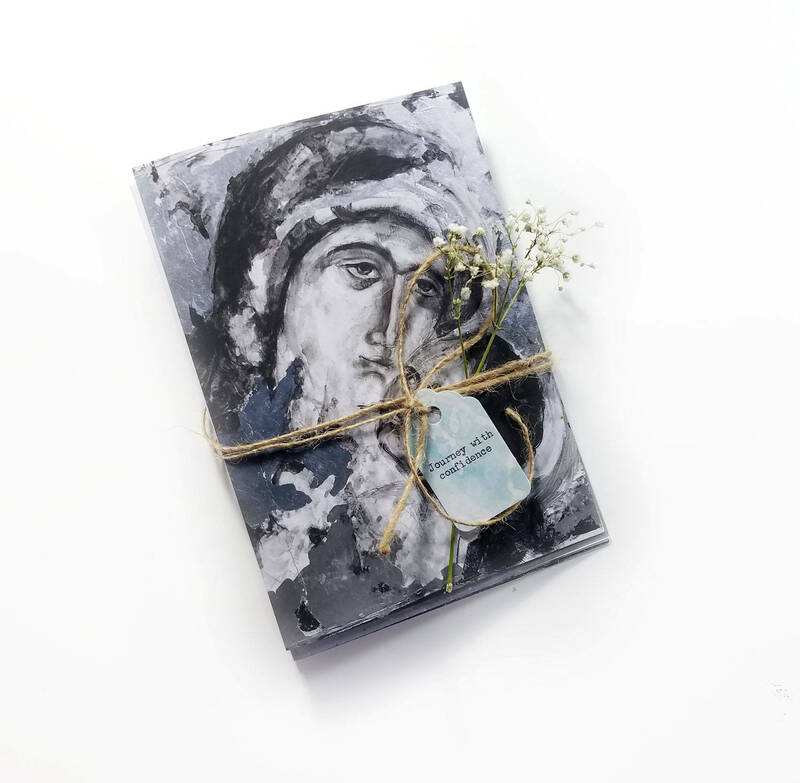 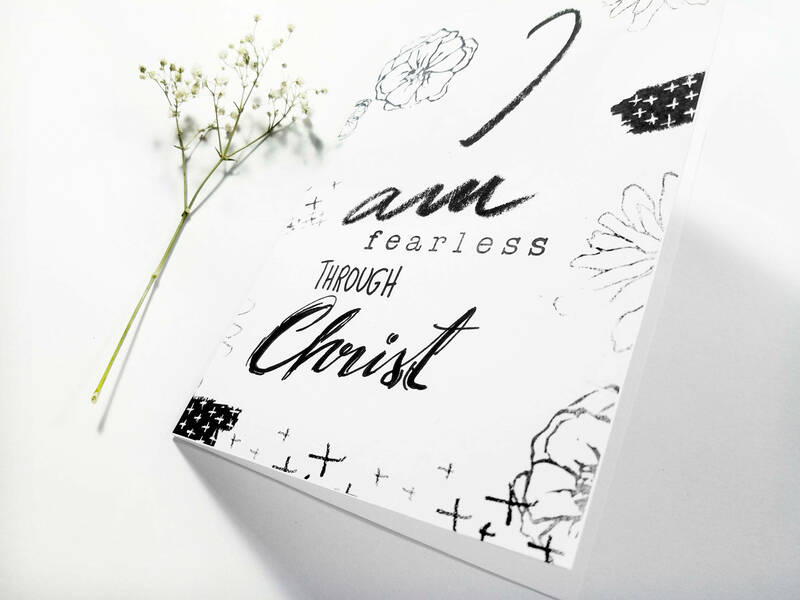 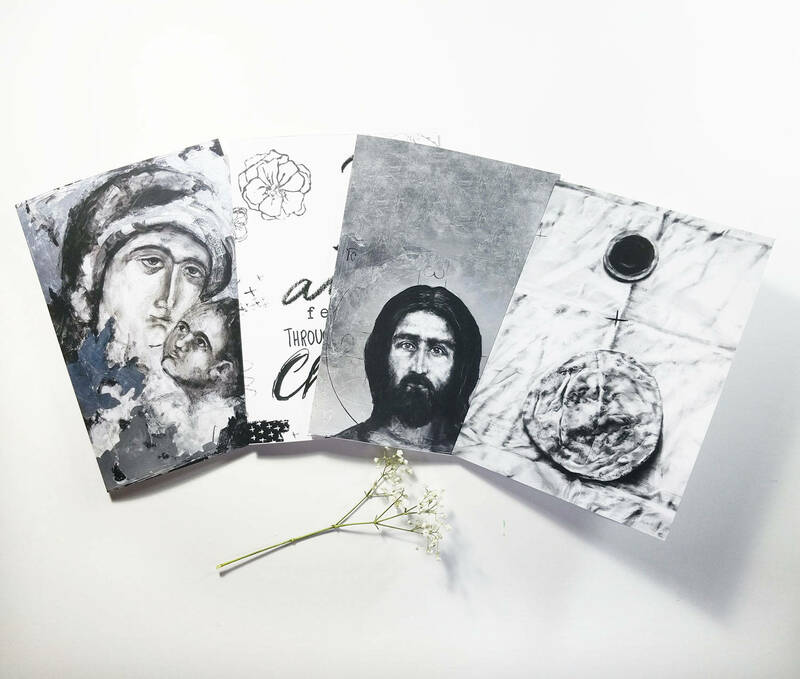 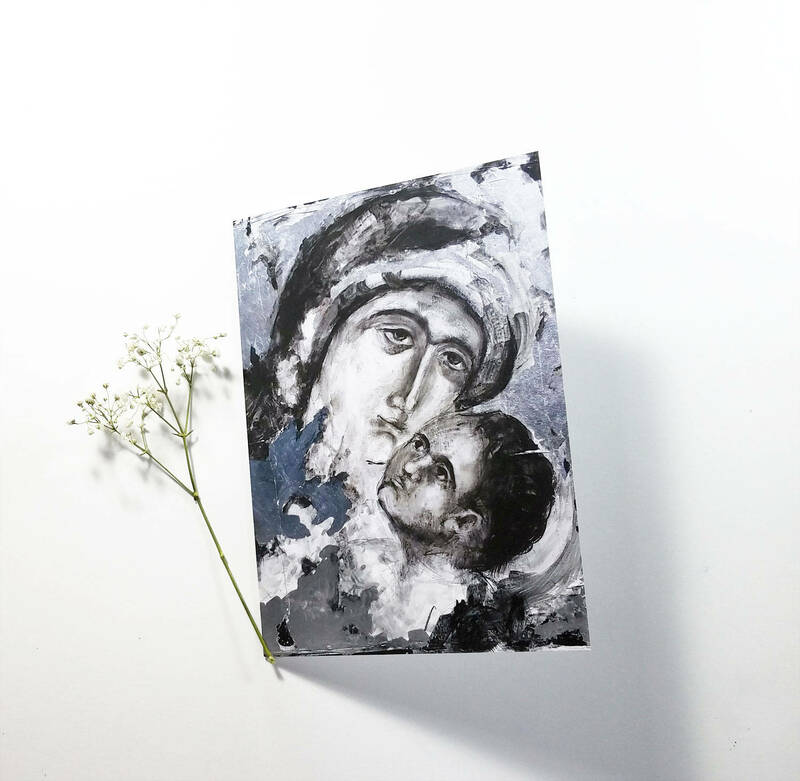 Nicely packaged, the set of 5 note cards are reproductions of my artworks: Blessed Mother and Jesus, Christ Pantocrator, The Lamb of God, Bread for our Journey and I am Fearless Through Christ. 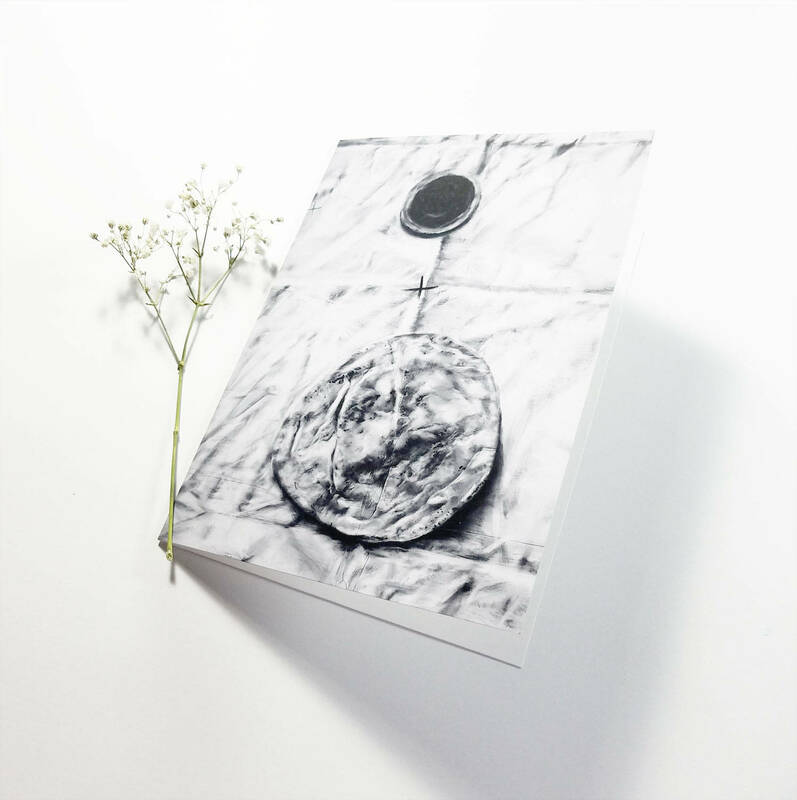 Each card measures 5x7 inches, blank inside, they come with envelopes. 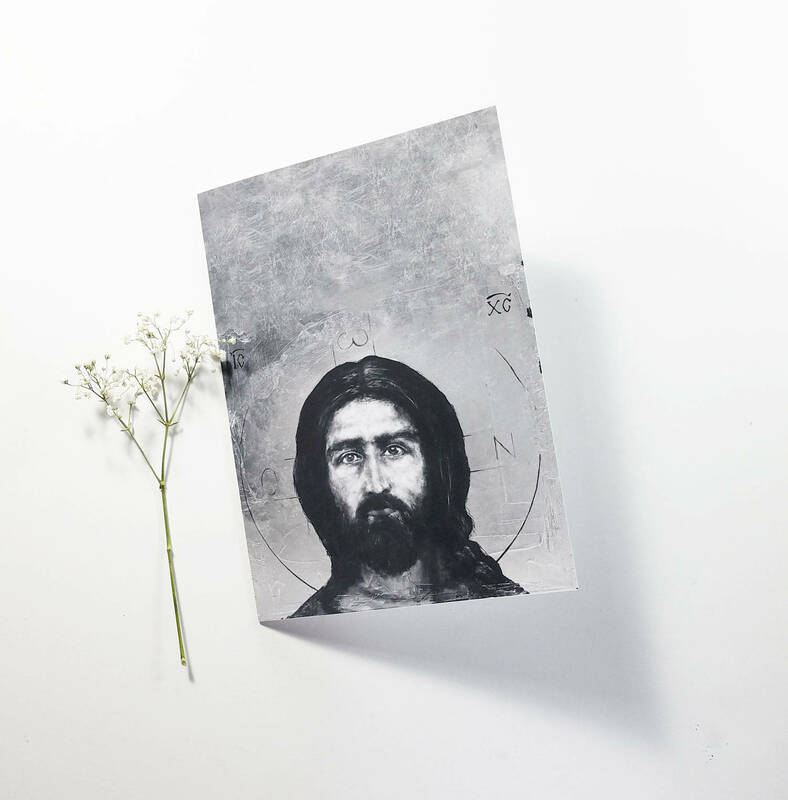 Archival prints they can be also framed. 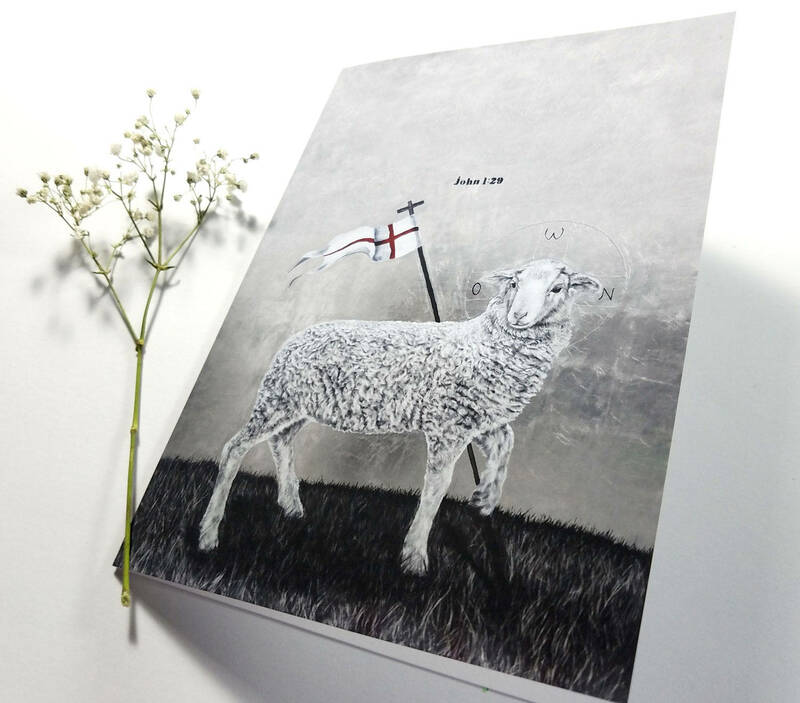 The prints have a matte finish.